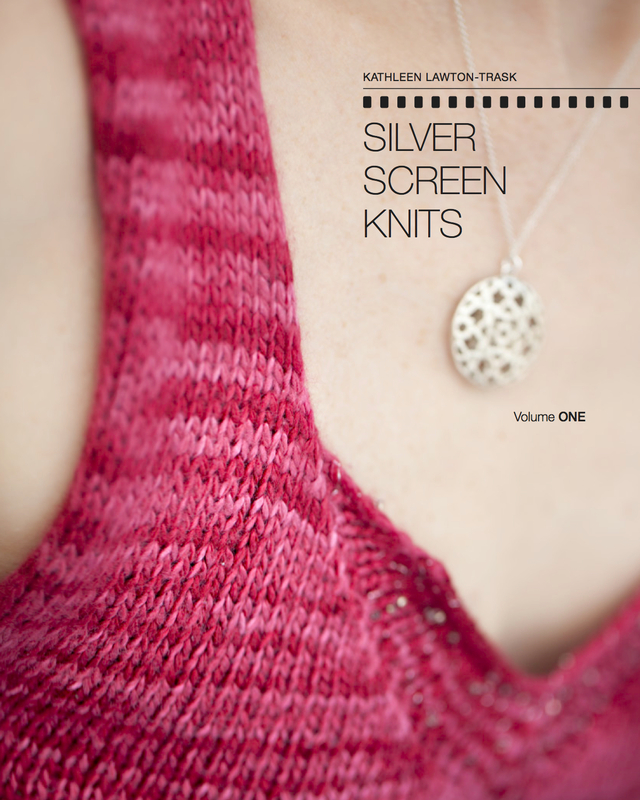 Roaming Swatch, Part II | Knit Like You Mean It. 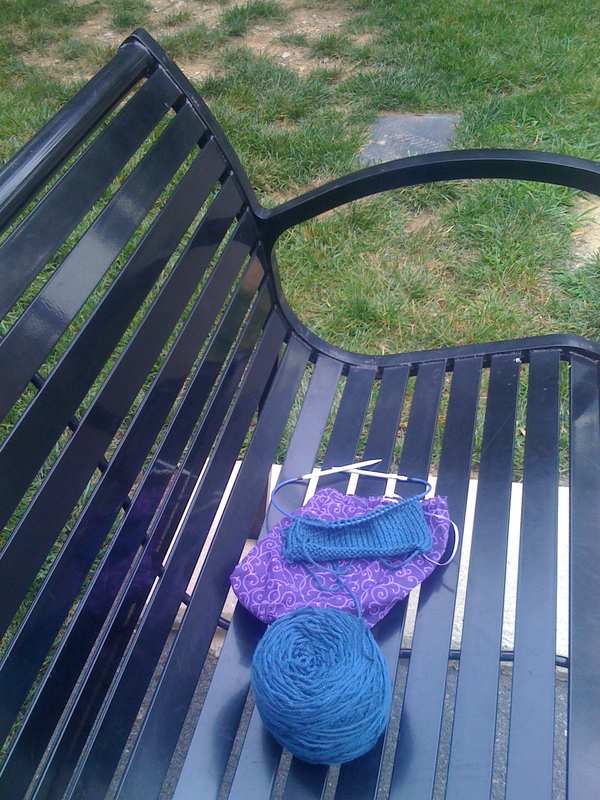 On Thursday, the swatch and I went to the Georgetown University campus. No, I don’t attend Georgetown and I never did – but I did work there for several years. At any rate, this is where I finished swatch one and, looking at the stitches, first began to contemplate swatch two, in US7 needles. Because the stitches had too much space between them. I was slated to go on a spiritual retreat that weekend, so I figured I’d do swatch two while being all woodsy-birdsy and then compare the two. Of course, my life is never as simple as I plan it to be. Two weeks ago, I went to this same retreat house and a friend of mine got very ill the second night. She and I and a tiny nun from the retreat house spent the night in the ER. The solution they came up with for my friend was unsatisfying, but we thought she was getting better. On Friday, though, back to the emergency room for my friend, and our plan to go to the retreat house had to be scrapped as well. 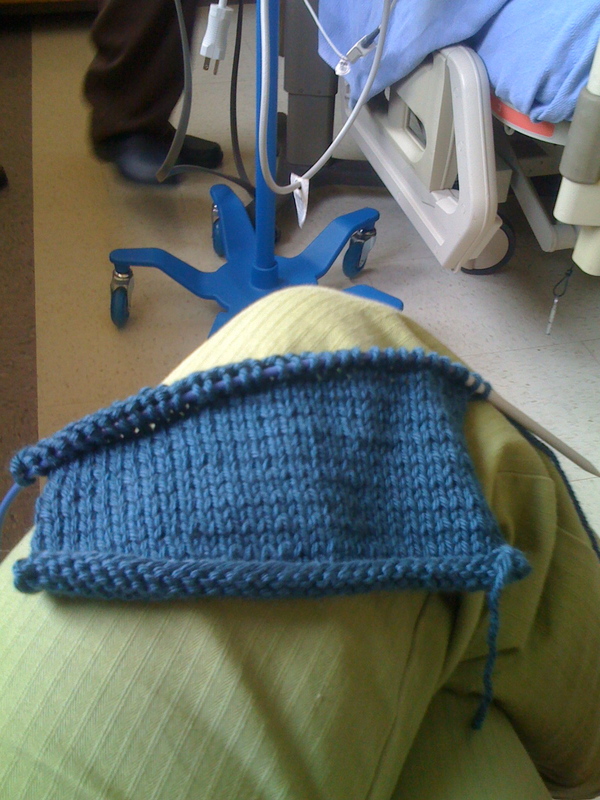 Running out the door to the hospital, I grabbed needles in US6 and US7, and swatched numbers two and three while we sat with Leslie after her procedure. I can say with great certainty that swatch three is too tight, and am pretty sure that swatch one is too loose (three bears, anyone?) but am waiting to measure to be sure. I finished both swatches on the first day and then turned to my undulating waves scarf, about which more later. Leslie is back home and doing pretty well, and the swatches are home. Next Time: We measure the swatches! The waves scarf grows! And a reintroduction to my Problem With Color!